PATORANKING AND SOUTI SOUL SET TO PERFORM IN UGANDA . - 106.5 FM - Digida Fm - Miziki Gyetukoona! PATORANKING AND SOUTI SOUL SET TO PERFORM IN UGANDA . This year Nigerian super star Patoranking and Kenyan popular band hit the road on a mission to share their music with different parts of the world in a tour dubbed ,”Melanin Tour” which saw them perform for various audiences all over Africa and places as far as Europe. 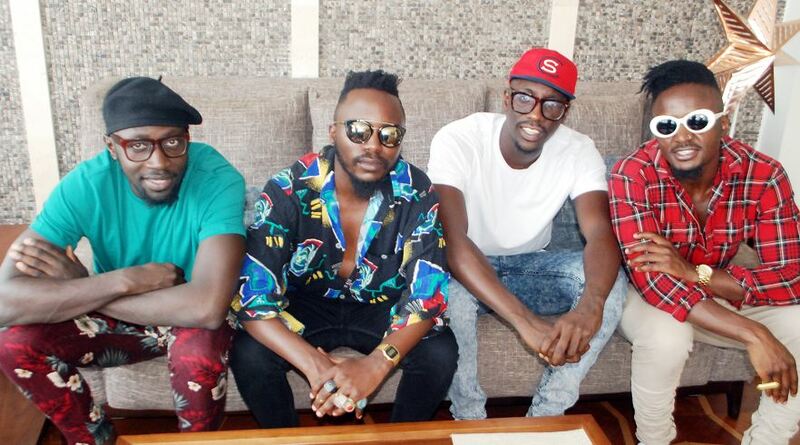 Souti Soul surely had a massive turn-up at all their concerts and they pretty much went well besides the small hitch they had in Rwanda, where they were stopped from performing on stage for arriving late at the venue. After all the successful performances,the boys are now ready to share their awesome music with their Ugandan fans at Lugogo Cricket oval on the 21st of December.